Social Media Marketing is the best technique that helps to improve the ranking of your website. We do this by different strategies like SMO (social media optimization) which mainly includes social sharing, writing persuasive content, using social media analytics to your advantage, posting updates with optimal posting times for increased engagements and using search friendly hashtags. This is the activity of expanding the awareness of a product, event or brand by using a numeral of social media outlets and communities to produce viral publicity and it is an eye-catching and unique way to engage masses towards the services that you offer. Social Media Company is easily available in India but you have to choose that company who provide best SMO services in India. We provide all SMO Services in Jalandhar at a reasonable price. With the help of SMO, you can create an image of your brand with all your services in consumer’s mind. It is also a fast, economic and measurable method to reach out to a large number of masses. SMO Company is the well-known marketing hub providing all the SMO services in Jalandhar. Our experienced team studies your business insightfully and employs the most applicable social media strategies and listing to promote persons, events, places, properties, information, organizations and web pages etc. in a customized manner. We also provide best SMO Services in Punjab at an affordable price. We all see our young generation, they pass their time and rely more on sites like Facebook, Google+, Twitter, YouTube, and others. Hence, it is to advertise any new information about our service in these social networking sites. It offers us an easy way of promotion to most of the audience and raising the social authority of the business. SMO also improve SEO process by providing excellent inbound links which will furthermore boost your page rankings with higher authoritative link juices. With the help of SMO Company in Jalandhar, we can make expand your business over the internet easily at a faster rate. · Increasing the customer interaction by evaluating it. · Awareness of your brand could be done. · Sharing quick updates: If you want to announce the launch of a new product, service, a press release, or important information that should reach your customers. In SMO we use various social media sites like Facebook, Twitter and other for providing Social Media Marketing or SMM Services in Punjab. 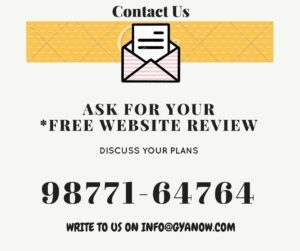 We are well known SMM Company in Jalandhar that is famous for providing best SMM service like advertising your business, product, and services over social media sites to increase the traffic of website according to your need and reach. The social media marketing services provided by us will allow in obtaining potential clients and popularize your online brand on search engines and on the renowned social networking sites. SMO is a powerful and a newly discovered means of online movements. SMO is a hugely accessible social media marketing strategy that has become an interesting idea for individuals, businesses, and agencies looking to expand their business profit at a predictable speed. We assure you that you are visually attractive by updating lucrative content on this website professionally. This helps you to invite your customers to promote your product, brand, and business globally. We are the best SMM Company in Patiala. We provide best social media marketing service in Ludhiana as compare to other companies and at one day our company became best Social Media Marketing (SMM) Company in India. We are the Social Media Company providing extended SEO and Digital Marketing Services.